It’s hard to say what Steven Van Zandt is best known for. He’s a founding member of Bruce Springsteen’s E Street Band, he played Silvio Dante on all seven seasons of The Sopranos, and he hosts an extremely cool syndicated rock-and-roll radio show called Little Steven’s Underground Garage. In recent years, he’s also become an advocate for preserving arts education in public schools, launching entire tours in solidarity with teachers. Along with Springsteen, Jackson Browne, Bono, and Martin Scorsese, he’s a founding board member of TeachRock, an organization that offers music-centric curriculum to teachers, all free of charge. This morning, Van Zandt showed up outside Hamilton High School to protest alongside striking LAUSD teachers. In a speech posted to Twitter, he spoke in favor of integrating the arts into STEM (science, technology, engineering, and mathematics) as another, equally important pillar of school curricula. 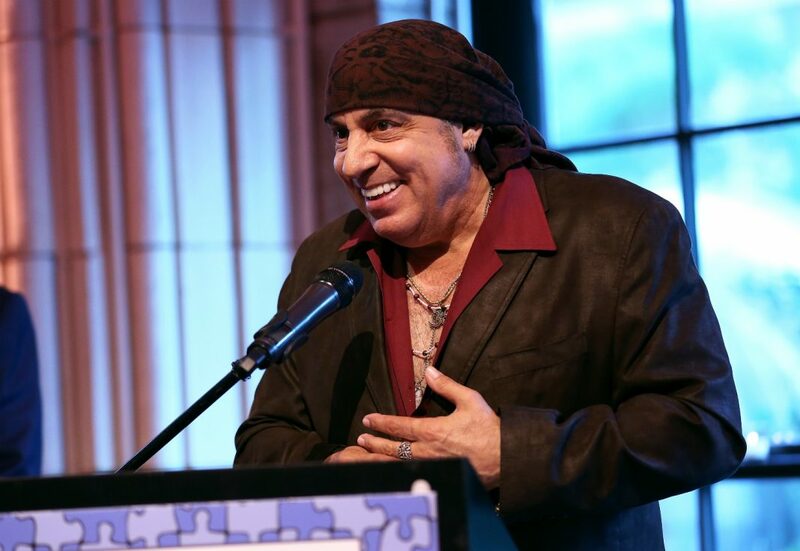 Calling on the entertainment industry to come out to the line with him to support public schools, @StevieVanZandt has one more message for everyone. Members of Hollywood unions including the Screen Actors Guild and Writers Guild of America have shown up to protest with teachers, who are demonstrating for higher pay and more resources for students, including supplies and support staff. Today is the third day of the strike.